The new full-length solo album from Paul Collins is finally here. The album is entitled "Flying High" and features twelve all-new songs. "Flyin' High" - Paul Collins' eleventh album since The Paul Collins' Beat - marks an end to a nearly 12-year musical quest and a start of a creative period. 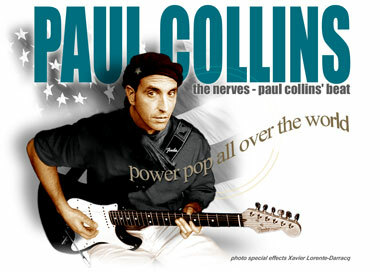 Paul Collins' new solo album is entitled "Flying High" and features twelve all-new songs that were written during various points of Paul' Collins' life. 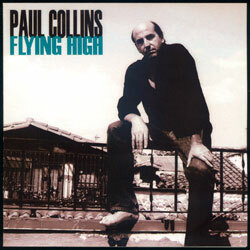 The standard edition of Paul Collins' "Flying High" Cd is now available through "www.paulcollinsbeat.com" and at most retail stores around the world. This new album was recorded in Madrid (Spain) over the course of four days. But Paul Collins deliberately took his time. "I wanted to give the songs the time they needed to grow and take on a life on their own" said Paul Collins. I didn't want us to start second guessing the songs (...) We just wanted to capture them in their most honest form. I think it worth the wait. The music speaks for itself and I'm really proud of what we did. The songs aren't overblown or exaggerated. It's a rock band playing music together with no gimmicks between us and the listener. We wanted to make a great album that was true to us as a band." The songs from Paul Collin's "Flyin' High" are sonically robust, the instrumentation and shimmering vocals first rate and the chemistry between Paul Collins and the band apparent. 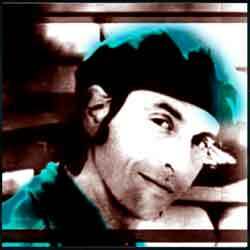 "Flyin' High" has an organic feel reminiscent of Paul Collins' early solo releases, and some of Paul Collins' Beat's later recordings. "Flyin' High" is a return to the basics for Paul Collins. The bulk of the album was recorded live, with many songs largely completed in the first take. "Flyin' High" is a mix of up-tempo guitar driven Paul Collins instant classics such as "More Than Yesterday" and "Helen" and more introspective darker songs. One of the many highlights is a sog entitled "Rock 'n' Roll Shoes" which Paul Collins describes as the "daughter" of The Paul Collins' Beat classic anthem "Rock 'n' Roll Girl". "Flyin' High" - Paul Collins' eleventh album since The Paul Collins' Beat - marks an end to a nearly 12-year musical quest and a start of a creative period that will generate several more releases including more full-lenght studio albums, a live album and a surprise that is sure to thrill fans of Paul Collins entire body of work. "Flying High" album was recorded in Madrid (Spain) during the first days of July 2004.